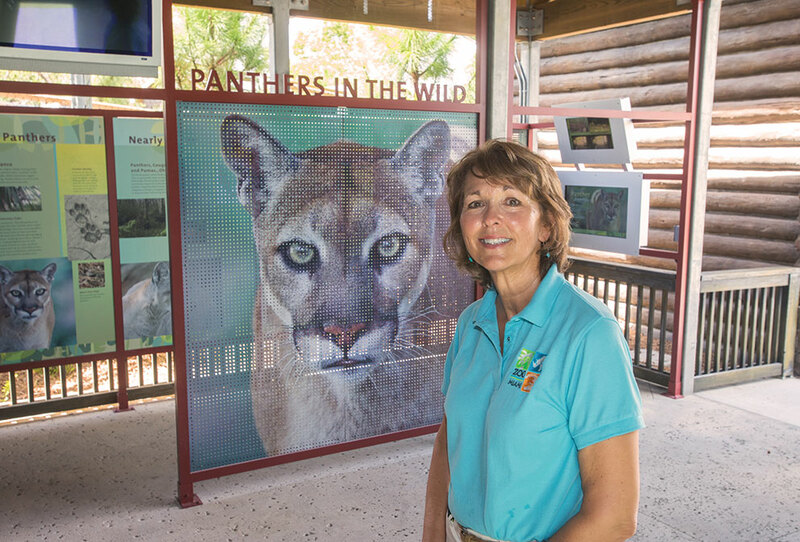 Carol Kruse served as assistant director of Zoo Miami from 2003 to 2011, primarily on the business operations side. Even though she knew the inner workings of the place, when named director about a year and a half ago, Ms. Kruse said, she was a bit surprised by the complexity of the animal science side. Yet she’s learning every day just from walking the grounds. Ms. Kruse said to stay current with trends in the zoo and aquarium industry one must be constantly learning. Her day rarely goes according to plan so she takes professional reading home. In addition, Ms. Kruse visits other zoos and attends the annual conferences for the Association of Zoos & Aquariums, which she said are excellent for professional development education sessions on a wide range of topics. For the first time, Zoo Miami is embarking on a strategic plan, which Ms. Kruse said is in the early stages, with staff divided into teams for the five strategic focus areas: animal well-being, conservation and stewardship, the guest experience, financial strength, and performance excellence. Those groups are working with a zoo and aquarium consulting team to better form the goals and then strategies and tactics to guide staff for the next three to five years. For those who haven’t been to the zoo in a while, Ms. Kruse advises coming back. For one reason, there’s now shade under a new entry plaza. The Florida Mission Everglades exhibit will be opening this year, so visitors can actually peek in through the lake. The animals are starting to be moved in and there’s a lushness Ms. Kruse said those who haven’t been to the zoo for a while marvel over. She said visitors comment on how beautiful and tropical it is as well how well cared for the animals are in their natural habitats. Miami Today reporter Susan Danseyar interviewed Ms. Kruse in her office at Zoo Miami.